Raymond Watson was born in Suffolk and always lived in East Anglia. He drew birds from a early age and had exceptional opportunities to study the bird life of the coast and marshes for which his native county is famous. Raymond Watson spent quite a lot of time in the North painting birds of the Scottish hill and moor. He exhibited regularly from 1967 including very successful one-man exhibitions. Some fine examples of his work are to be seen in the Ulster Museum. In 1971 he won the Grande Prix for painting at the International Hunting Exhibition in Budapest. In 1977 Raymond Watson illustrated the book “Birds of the British Coast” and these where sold during an exhibition here at Mandell’s Gallery. 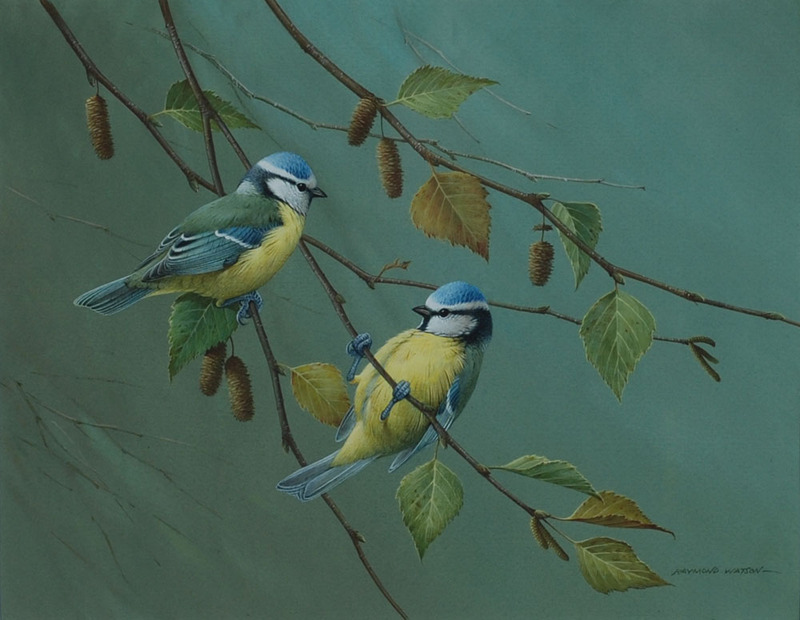 Raymond Watson also illustrated a book entitled “Song Birds” by Percy Edwards and the original watercolours were once again sold during an exhibition here at Mandell’s Gallery in 1986.